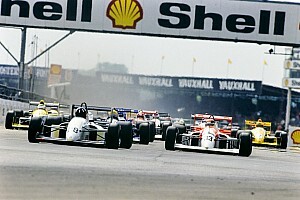 Donnington Park, UK - Sun, 8th Aug 1999 - Malaysia's Alex Yoong proved that the experts' prediction of him being Formula 1 material is not unfounded when he pressed the eventual winner all the way home to finish an incredible second in the rain, losing by only 1.217 seconds, beating 15 other more experienced F3000 stars from 11 countries, in round 4 of the 1999 Italian F3000 Championship today. Starting from fifth on the grid in treacherously slippery conditions under incessant rain at Britain's 3.2km Donnington Park circuit, Yoong was third by the first corner when he made his now well known lightning quick start. For the next 7 laps of the 34 lap race, leader Polo Villaamil of Spain, Werner Lupberger of South Africa and Yoong pulled away from the rest of the field when fourth runner Giorgio Vinella of Italy, round 3's winner, was more than 10 seconds away. Villaamil spun off into the gravel trap on lap 7 which promoted Yoong to second who immediately closed to within 2 seconds of Lupberger. The two were then more than 22 seconds from third Vinella when the safety car was called into the race to enable safety crews to remove two crashed cars. The remaining 13 cars from the 17 cars which started bunched up behind the safety car for 2 laps. Yoong made a bad get-away when the safety car pulled off and found himself trailing Lupberger by 8 seconds. "I didn't see the lights of the safety car going out to signal the re-start because of the spray from Lupberger's car." said Yoong later. Under pressure from Vinella, Yoong demonstrated great skills in the wet to reel off 5 fastest laps in succession to pull away from Vinella and close right up to leader, Lupberger. 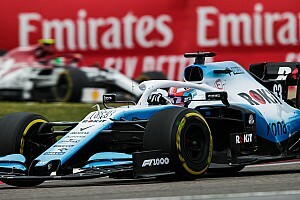 He then spun in Lupberger's spray when he did not see the running puddle at about 220kph in fifth gear just before braking for the Macleans corner. 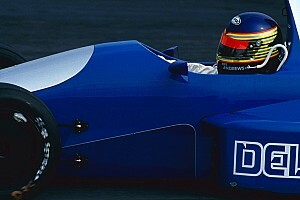 He recovered without stalling the engine but then trailed Lupberger once again by 8 seconds without losing second spot. Yoong gave chase once again but ran out of laps to finish the race just 1.217 seconds behind Lupberger. Third was Italy's Gabriele Lancieri 47.471 seconds behind Yoong. Indonesian Ananda Mikola did not make the start after he spun off on the warm-up lap under the treacherous conditions. "I would have won this race with ease if not for the near zero visibility everytime I came up to Lupberger as I knew I was going faster. I had no problems closing the 8 seconds from him within a few laps. But he drove well not to make any mistake and I'm very happy to be the first Asian, excluding Japanese, to have finished on the podium in a Formula 3000 race." said Yoong. Monaco Motorsports team owner Lamberto Leoni overjoyed with Yoong's performance said "Alex was seriously impressive today ! I cannot say more. This young man is a real find. I'm glad he's driving for me instead of another team. 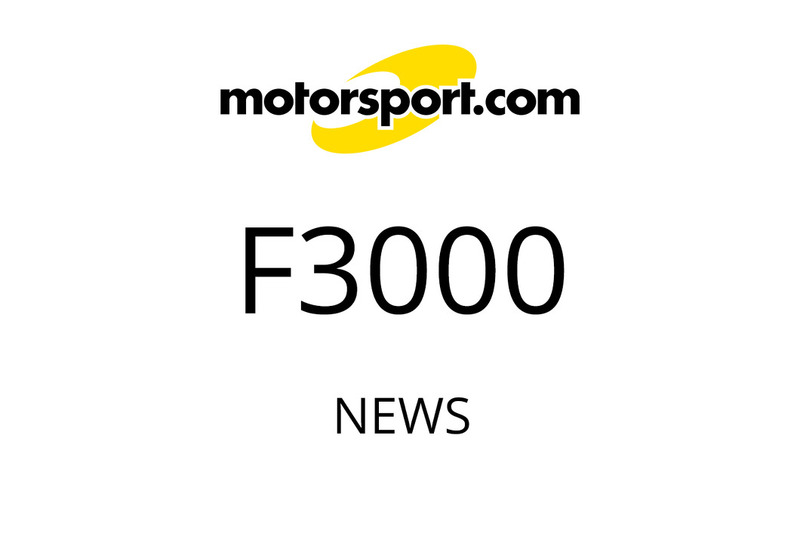 We are taking him to Hungary next week for the FIA International F3000 race and I'm sure a few F1 teams will be looking at him seriously." Yoong now lies joint 6th in the 1999 Italian F3000 Championship despite having missed round 1 and 2 with 8 points when he scored 6 points for this podium second. 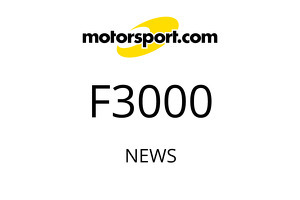 He scored 2 points in his F3000 debut 5th in round 3 held at Enna in Sicily 3 weeks ago. He will be aiming to finish in the top 3 of the championship with 3 more rounds to run.